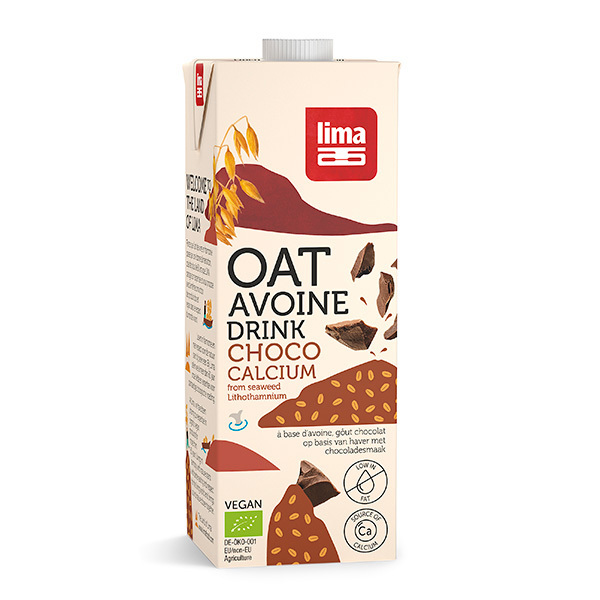 The Lima dairy free Chocolate Oat Drink contains as much calcium as standard milk! 1L carton. This Organic Chocolate Oat Drink with Calcium is a healthy and nourishing non-dairy beverage, that can be enjoyed hot or cold, with cereals or in tea and coffee. Ingredients: Water, oat* (13.8%), corn syrup*, cocoa* (1.3%), sunflower oil*, Lithothamnium calcareum (seaweed), thickening agent (guar gum), seasalt. Can be consumed as a hot or cold beverage and used as a substitute for milk to make sweet or savoury dishes.